There’s a wealth of heritage and innovation dotted along the south side of the Thames. Bring the whole family for a day of theatre, art, adventure, gourmet food and much more. Just across the river from the Houses of Parliament, the South Bank area of London was energised during the 1951 Festival of Britain by the iconic modern architecture of the Southbank Centre, featuring the Royal Festival Hall, Hayward Gallery, the Purcell Room and Queen Elizabeth Hall. This area stretches between Westminster and London Bridges on the south side of the river, and is a perfect location for a sunny day’s stroll. There is always a special event going on, as well as a fantastic range of entertainment, arts and dining venues to discover. For a more high-adrenalin sightseeing tour, you can even whizz down the Thames on aspeedboat and take in the spectacular views. 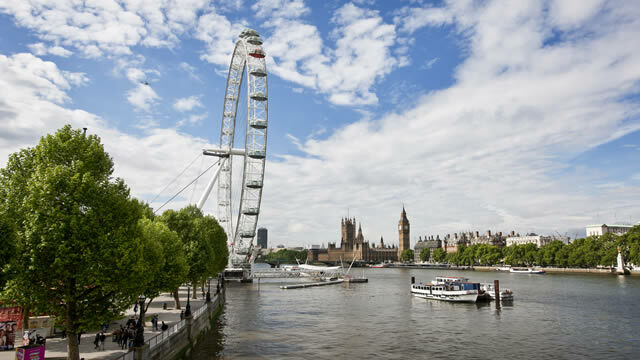 If you head towards the river from London Waterloo, you will find the Florence Nightingale Museum, the SEA LIFE London Aquarium, the Coca-Cola London Eye, the Southbank Centre, the BFI Imax and The London Dungeon. Venturing south instead, will take you to theatregoers’ favourites the Old Vic, the Young Vic as well as the shops and market stalls along Lower Marsh. There are plenty of great dining options in this area, from riverside dining at Skylon to dim sum at Ping Pong, or gastro-pub grub at the Anchor and Hope. If that’s enough to tempt you into an overnight stay in the area, there are plenty of hotels close to Waterloo. The riverside walkway is perfect for people watching, spending lazy afternoons in a pavement café or browsing in one of the area’s many book and art shops or regular markets. Catch a show at the National Theatre, browse the designer boutiques in the Oxo Tower and Gabriel’s Wharf, or enjoy family fun at BFI Southbank. 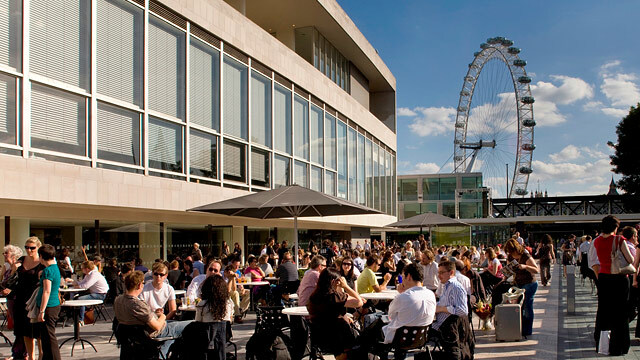 You’ll also find a range of Italian and French cafés at Gabriel’s Wharf; while the National Theatre’s Terrace Bar is perfect for a relaxing drink. East of Blackfriars bridge, the area becomes known as Bankside. This is one of the oldest parts of London – entrepreneurs, artists and revellers have flocked here for almost 2,000 years. Bankside is also one of London’s most vibrant areas, with a heady mix of culture, foodie delights, attractions and architecture. Situated along the Thames, Bankside is dominated by Tate Modern, one of the world’s finest art galleries. The quirky streets around Tate Modern are perfect for exploring on foot – with galleries including Bankside Gallery and Jerwood Space, and the trendy shops and restaurants of Bankside Mix waiting to be discovered. Playwrights have gathered here since Shakespeare’s time, and the area remains a centre for creativity. Shakespeare’s Globe exhibition and tour is a great way to immerse yourself in the culture of the Bard’s time, and the converted Menier Chocolate Factory offers world-class productions. It’s also a great area for an immersive historical experience: try the Golden Hinde ship or the Clink Prison Museum. Time for a drink? Historic pubs such as The George and The Anchor have long been favoured by famous Londoners – from Charles Dickens to Samuel Pepys – or search out The Rake, London’s smallest bar. If you’re looking for a cocktail, head to Mondrian London’s destination bar, Dandelyan, which mixes unusual creations with sweeping views of the Thames. Bankside was once known as London’s larder. 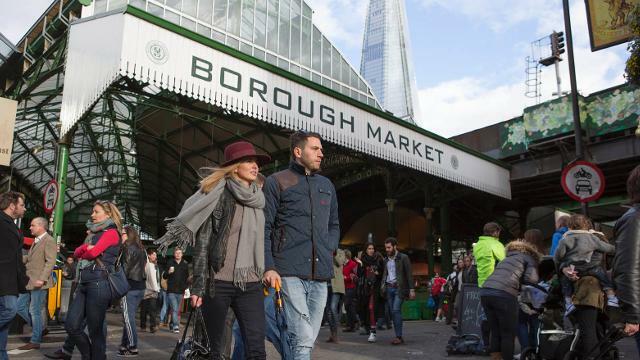 It’s a title that lives on today in the fresh produce of Borough Market and the wealth of fine restaurants, pavement cafés and outlets surrounding it. For more information about this great destination, look at Visit Bankside or download the excellent free app from Southbank London. London Waterloo train station is convenient for access to the South East of England by train. Destinations to and from London Waterloo include Bournemouth, Southampton, Exeter and Weymouth. Book your train tickets in advance with thetrainline.com and save money. Bankside, the South Bank and Waterloo are easy to access: use London Bridge, Waterloo, Blackfriars, and Southwark stations, or take one of the numerous buses that travel to the area. London Waterloo is served by the Jubilee, Northern and Bakerloo lines on the Tube. If you’re going to be in London for more than a day, it’s worth buying a Visitor Oyster Card in advance. The Visitor Oyster Card is delivered to your home before you arrive in London. It is one of the easiest ways to get around London. You can also take a river cruise along the Thames from Waterloo Millenium Pier next to the Coca-Cola London Eye with City Cruises. Soho in Central London is a great place to find live entertainment, interesting food and pulsingnightlife. Browse the boutique shops, relax in Soho Square, or treat yourself to a West End show, a meal and a delicious cocktail. Other interesting London areas within walking distance of Soho include Chinatown, Covent Garden,Piccadilly Circus and Mayfair. Soho is situated in the heart of London’s West End. The area covers roughly one square mile (2.6 square kilometres), so it’s easy to explore on foot. Soho is bordered by Oxford Street, Regent Street,Leicester Square and Charing Cross Road. If you do not have a Visitor Oyster Card, but still plan to travel around London for more than a day,buy an Oyster card at the Tube station. Learn more about Oyster Cards. No visit to the capital would be complete without a Soho shopping day. Some of London’s most interesting boutiques can be found along Berwick Street, Carnaby Street and in Kingly Court. For flagship fashion and electronics stores in Soho, you’ll find the best shopping along Oxford Streetand Regent Street. London’s theatre scene is primarily focused around the West End. A number of Soho theatres – such as the Prince Edward Theatre and the Prince of Wales Theatre – have been entertaining visitors for a very long time. From big-budget musicals and classic plays, to quirky cabaret and stand-up comedy, there is a Soho show to suit every taste. For example, you can book tickets to see Stomp at the Ambassador Theatre, Les Misérables at the Queen’s Theatre or Thriller at the Lyric Theatre, which are all in Soho. Soho is at the heart of London’s live music and clubbing scene, but you can also find everything from casual pubs to secret bars. Popular bars such as The O Bar and Bar Soho provide plenty of cocktail opportunities on a night out in Central London. If it’s a late night coffee you crave, Bar Italia is a lively place to hang out. Soho can claim to be London’s major hotspot for the gay and lesbian scene, with a high concentration of gay clubs and bars. Soho is also a hub for the Pride in London celebrations each year. Jazz also came to the UK via Soho. Clubs such as Ronnie Scott’s still offer great jazz nights. Alternatively, you can do it yourself at the Lucky Voice karaoke bar! The Soho dining scene, much like the area, offers both the quirky and traditional, the opulent and down-to-earth. Snap up cheap snacks at Yalla Yalla; do brunch at The Breakfast Club Soho; dine on colourful Indian cuisine at Imli Street, Masala Zone and Cinnamon Soho. Soho also caters for indulgent fine dining. For some of the best food in London, book a table atGauthier Soho, or one of Soho’s Michelin-starred restaurants, Yauatcha, Arbutus, and Social Eating House. Small sharing portions are popular in London, and you can enjoy this trend at Soho restaurants likeBarrafina, Polpo and Blanchette. If you’re booking a trip of a lifetime and want nothing but the best, Soho’s hotels include the modern W Hotel, the boutique Sanctum Soho Hotel and the elegant Café Royal Hotel. Whether you’re a rocker, cool kid, metalhead, hippy, vintage queen or muso, you’ll find something to delight you in this fun part of North London. Enjoy! 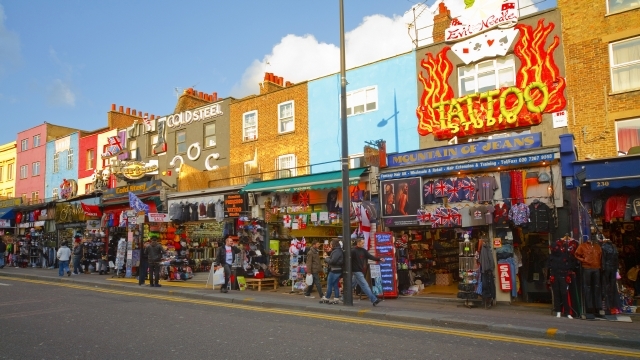 If you love Camden chances are you love shopping! Take the Tube to Camden Town, then head north along Camden High Street past stores selling Doc Martins, goth and punk clothing, body piercings, tattoos and more. Allow yourself a few hours to explore the extensive Camden markets. Top tip: Don’t miss the futuristic styles of Cyberdog. Camden is one of the top places in London for vintage gear. In Stables Market you’ll find stores and stalls selling new and second hand clothes, shoes, accessories, homewares, posters, furniture and music on vinyl. There’s also lots of new, retro-style stuff, plus vintage-style hairdressers and beauticians (try Dappa Boutique on Chalk Farm Road). There are loads of great pubs in Camden. Chill at the Hawley Arms or The Lock Tavern; rock with the rockabillies at The Elephant’s Head; kick on until way past your bedtime at The Good Mixer; hobnob with goths, emos and metalheads at The Devonshire Arms; or drink a toast in the Spread Eagle just off Parkway. From Pink Floyd and The Doors, to Madness, Blur and Amy Winehouse, Camden was and is one of the most happening places for live music in London. Catch world-famous acts or the Next Big Thing at The Roundhouse, Dingwalls and The Dublin Castle. Try Underworld for metal and The Jazz Cafe for jazz, blues and retro. As well as Camden’s wide selection of pubs, and live music venues, there’s plenty of fantastic bars and clubs. Barfly is great for a late night boogie, Proud Camden‘s quirky setting attracts a hipster vibe, Koko hosts everything from bands to burlesque, plus there’s plenty of boutique taverns and cocktail bars. Try The Foundry, Fifty Five and The Black Heart. A visit to this area is not complete without spending some time along Regent’s Canal, which runs through the heart of Camden and the markets. 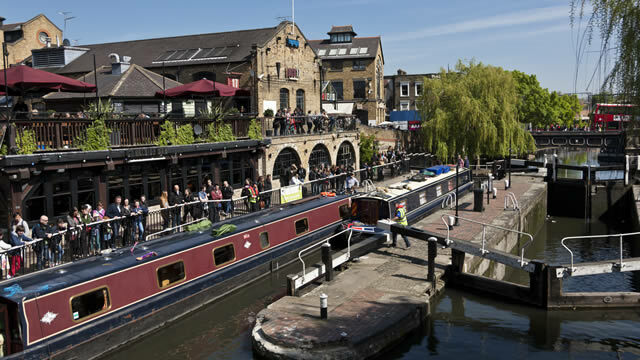 From the picturesque Camden Lock you can take a boat tour to Little Venice (and back, naturally). You’ll get the world on a plate in Camden. Find fab cheap eats at Camden Lock Market, get your BBQ meat fix at Q Grill or Shaka Zulu, kick it up a notch at the Gordon Ramsay’s York & Albany, or experience a crazy cornucopia of pan-Asian delights at Gilgamesh. Top tip: Be a Brit, eat fish and chips at Poppies. 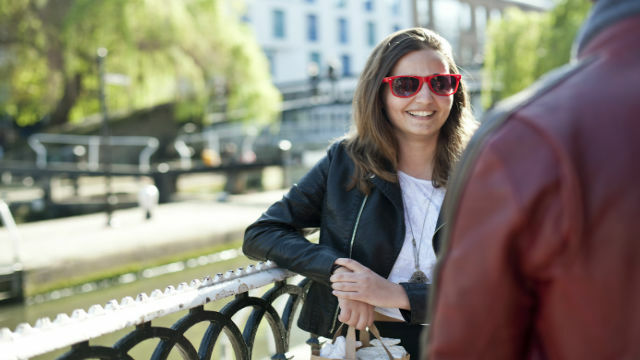 Camden is ideal for people-watching – from the colourful characters on the street and behind the stalls to celeb spotting in nearby Primrose Hill. Whether you’re waiting to meet a friend or just need a bit of down-time, park yourself near the Lock, grab a coffee and watch the world go by. After seeing Camden’s weird and wonderful human inhabitants, you can visit the cool creatures at nearby ZSL London Zoo. 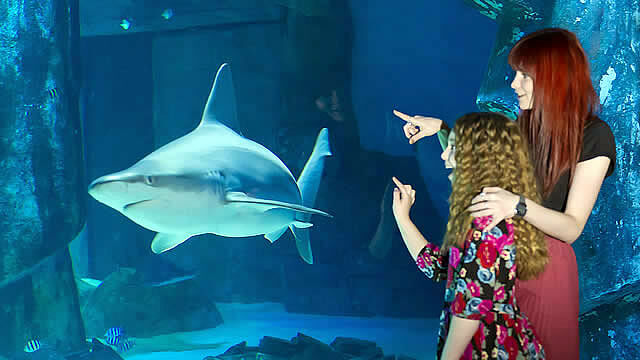 Here you’ll find exhibits including Tiger Territory, Gorilla Kingdom and Penguin Beach as well as a fantastic kids’ area with water play and a petting zoo. Cecil Sharp house is the home of English folk music, holding an astonishing archive of sheet music, recordings and manuscripts documenting the history of traditional English folk dance and song. The venue hosts regular talks, workshops and family-friendly events such as Ceilidhs, Morris Dancing and more. Borough Market is a wholesale and retail food market in Southwark, Central London, England. 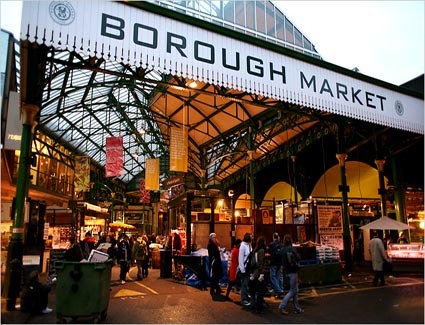 It is one of the largest and oldest food markets in London. In 2014, it celebrated its 1,000th birthday. The present market, located on Southwark Street and Borough High Street just south of Southwark Cathedral on the southern end ofLondon Bridge, is a successor to one that originally adjoined the end of London Bridge. It was first mentioned in 1276, although the market itself claims to have existed since 1014 “and probably much earlier” and was subsequently moved south of St Margaret’s church on the High Street. The City of London received a royal charter from Edward VI in 1550 to control all markets in Southwark (seeGuildable Manor), which was confirmed by Charles II in 1671. However, the market caused such traffic congestion that, in 1754, it was abolished by an Act of Parliament. The present buildings were designed in 1851, with additions in the 1860s and an entrance designed in the Art Deco style added on Southwark Street in 1932. A refurbishment began in 2001. Work to date includes the re-erection in 2004 of the South Portico from the Floral Hall, previously at Covent Garden, which was dismantled when the Royal Opera House was reconstructed in the 1990s. The present-day market mainly sells speciality foods to the general public. However, in the 20th century, it was essentially a wholesale market, selling produce in quantity to greengrocers. It was the main supplier, along with Covent Garden, of fruits and vegetables to retail greengrocers shops. Amongst the notable businesses trading in the market were Vitacress, Lee Brothers (potato merchants whose signage can still be seen in the market), Manny Sugarman, Eddy Robbins, Verde, AW Bourne and Elsey and Bent. JO Sims, the main importer for South African citrus fruit (Outspan), were also located in the market. 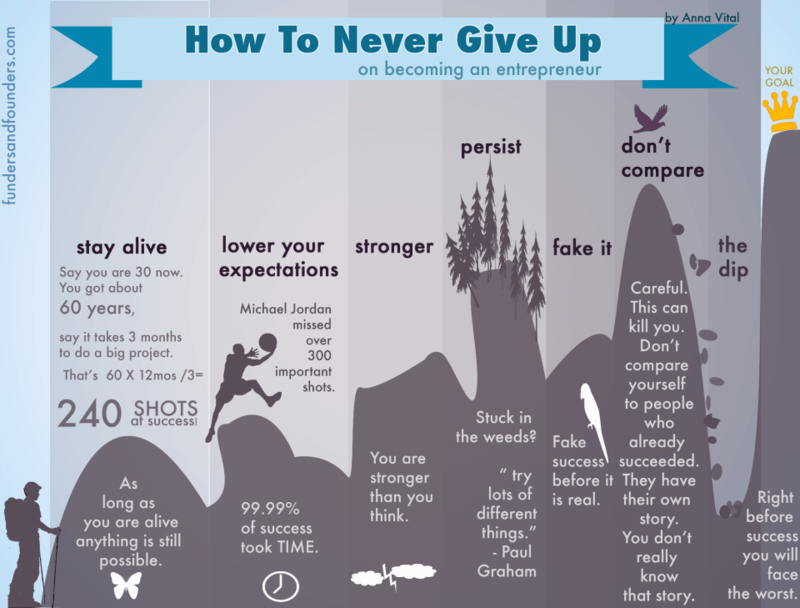 The temptation to give up is a common one, and nobody is exempt. Failure isn’t something many of us can handle gracefully. And even though we know it’s a common human condition, we’re somehow always surprised when it happens to us. 3. It’s not that I’m so smart, it’s just that I stay with problems longer. 4. Many of life’s failures are people who did not realize how close they were to success when they gave up. 8. What if I told you that 10 years from now, your life would be exactly the same? I doubt you’d be happy. So, why are you so afraid of change? 20. It always seems impossible until it’s done. 23. I don’t know the key to success, but the key to failure is trying to please everybody. 29. Courage is not having the strength to go on; it is going on when you don’t have the strength.